Aah, Clint. Is there anyone that embodies masculinity more than the Man with No Name? Not a lot of men out there can hope to achieve Eastwood’s steely jaw, cool glare, and an abundance of manly advice. As Walt Kowalski, he advises his young neighbor about the essential tools any young buck needs to help them become a handyman capable of fixing any household issues. 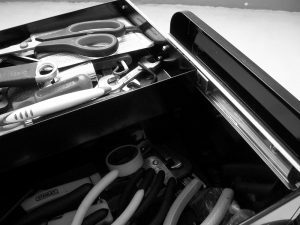 While those three items ARE important aspects of any Handy Man’s toolbox, let’s be real: it’s 2018, we’ll need a lot more than that to get the job done (sorry, Mr. Eastwood). Before you go ahead and empty out the nearest hardware store, bear in mind: you don’t just need tools, you need the right tools. What are the right tools? Well, it depends on what you need them for, and for what job. For the man who just wants to be prepared for common household issues, stick to the basics. Yes, that circular saw is cool, but you don’t really need it. Instead, find a nice set of hammers, screw drivers, caulk guns, and other basic tools but learn to use them well. Never underestimate the power of the humble hand tool. Craftsmen, on the other hand, will require more specialized tools. 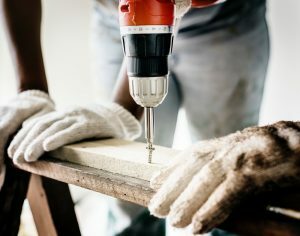 Depending on the craft, power tools are essential, but these can be expensive so it’s best to consider renting some of them. Industrial-sized tools, on the other hand, are for professional craftsmen with scaled up production lines. 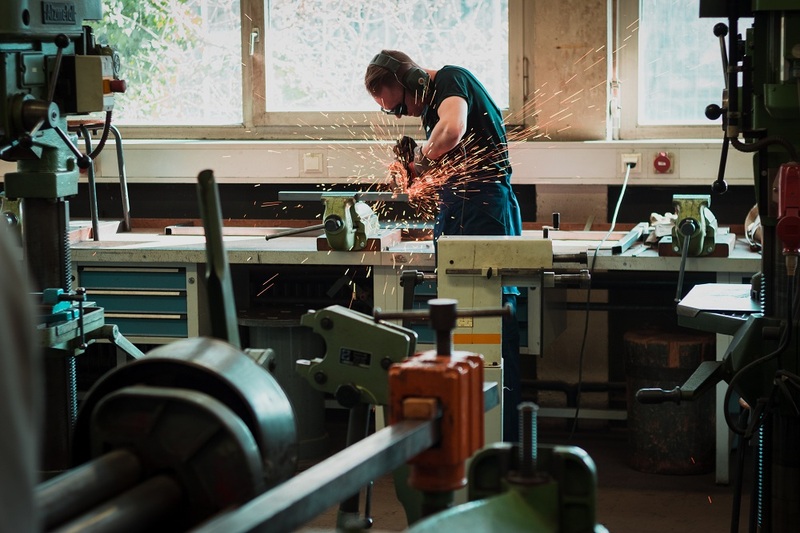 A must-have equipment for all craftsmen, find goggles that are ANSI-certified, as these have usually passed a very rigorous amount of safety testing. Depending on the type of work you’re doing, gloves not only protect your fingers from injury, they also reduce instances of blisters and callouses. Aprons protect your body from loose debris. Leather aprons offer a higher level of protection than other materials. It doesn’t matter what kind of work you’re doing or if you think it looks silly, always protect your head. Not a necessity, but hey, doesn’t hurt to have a thick beard when working with power tools! As with all things, you get what you pay for. 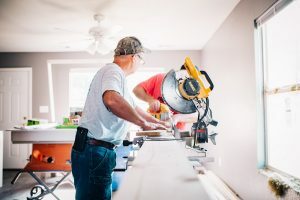 It might be tempting to buy a cheap set of tools, but if they fail, not only will your work be compromised, but also your safety. If you’re serious about it, you’re going to have to loosen the purse strings and buy (or, in some cases, rent) tools that are high-quality. Sturdy and dependable, the utility knife is every Handy Man’s best friend. All projects will need some form of cutting or scraping, and the utility knife is the best tool for that job. Try to find one with a built-in storage for the blade and rubber handles for both comfort and safety. A basic 16 oz. hammer is perfect for most home repair or home improvement needs and is light enough to carry around the whole day. While it’s tempting to get an old-school hammer with a wooden handle, find one with a leather or rubber handle: they last longer and are less prone to breaking. Screwdrivers aren’t just good for, well, driving in screws; they’re also great for opening paint can lids or battery compartments. Get two types of screwdrivers: Flat-heat and Phillips-head. Flat-head screwdrivers are, as the name implies, flat on the top like a chisel. This is one of the most versatile screwdrivers out there, especially for older houses, as older buildings are more likely to be using flat-head screws. Phillips-head screwdrivers, on the other hand, have a four-star point that’s used for modern screws. Find a set of both screwdrivers in varying sizes and length to make them more versatile. Also known as a crescent wrench, an adjustable wrench has a sliding jaw that changes the width of the wrench. This makes it a highly versatile tool that can tighten or loosen all kinds of nuts and bolts. 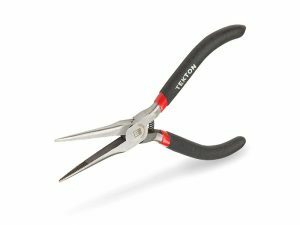 Because of their shape, needle-nose pliers are perfect for reaching into small cracks and wall gaps, and their grooved heads are perfect for stripping, bending, or gripping electrical wires. Electricians use these for all kinds of wire work, and its best to find one with rubber handles to reduce the chances of electrocution. There’s probably nothing more emblematic of craftsmen than a hand saw. Crosscut hand saws are perfect for cutting wood against the grain, like when trimming tree branches or 2×4’s. A hack saw, on the other hand, can cut through a variety of materials from wood and steel to plastic and polymers. Used primarily to drill holes or to drive screws, cordless drills are versatile because you don’t need to be plugged into an outlet. Cordless drills have multiple speeds and can rotate in either direction, so that it can be used to take out stubborn screws and bolts. Sure, there are apps for this now, but nothing beats an old-school leveling tool with the liquid vial in the middle. Leveling tools come in all shapes and sizes, from torpedo and box beam to I-beam and MPP box beam levels. There are even laser-guided levels, although those can be expensive. Measure twice, cut once. That’s an adage that’s as true today as it has been since the saying was invented. Most craftsmen use a 3/4-inch wide, 16-foot long tape measure because it’s perfect for most jobs. The next group of tools are for the handy man with specific needs. These tools can scale up your production or provide you with a more particular function. Whether it’s a head lamp or on a static stand, work lamps are essential for working in low or no light conditions like in garages, underneath cars, basements, or attics. Find a powerful LED light to give you the right amount of brightness and energy efficiency. Woodworking and metalworking would be impossible without an adjustable square. This tool allows you to make very precise cuts and measurements at 90 and 45-degree angles. Adjustable squares can also be used as a makeshift level. Professional handy men recommend using either a 6-inch or 12-inch adjustable square as these two are perfect for most jobs. Circular saws are hand-held power saws that use a toothed or abrasive disc to make cuts. They’re specifically designed to make rip-cuts, cross cuts, or a combination of both. 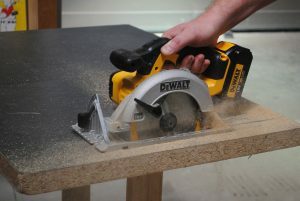 Table saws, on the other hand, are basically circular saws that are mounted on an arbor and driven by an electric motor. The saber saw is a hand-held saw that uses a reciprocating blade (that is, a blade that cuts using a push-pull action). A Jigsaw is a smaller version of the saber saw and is equipped with a bevel function so that it can cut at angles. The big brothers of the adjustable wrench, the socket and allen wrench are both heavy-duty wrenches that can fulfill jobs that the adjustable version can’t. Socket wrenches are adjustable wrenches with a ratcheting handle that makes loosening or tightening bolts much easier. Meanwhile, Allen wrenches are L-shaped wrenches that are used to drive hexagonal bolts and screws. Like what Clint said, WD-40 can solve a whole bunch of household and mechanical issues. Some people think that WD-40 is a lubricant, but it isn’t. In fact, its primary use is a rust dissolver, and the lubricant-like properties of WD-40 come from the dissolved components. Lubricating oils, on the other hand, are used to reduce friction and heat in mechanical tools, making them last longer and reducing the risk of breakdowns. Lubricants can either be mineral or synthetic. If even WD-40 isn’t working to loosen up a bolt or screw, bring in the heavy artillery. Impact drills are designed to loosen frozen or over-torqued bolts and screws using a sudden rotational and downward force. It can also be used to do the exact opposite by power-driving bolts and screwiest into dense and solid woods. As mentioned earlier, always keep personal safety in mind. Learn how to use your tools properly and efficiently. As you learn about your craft, you’ll eventually need more tools, some specific to a project and some for general use. No matter what kind of tools you get, always make sure that they’re well-taken care of. Always keep them clean, lubricate what needs to be lubricated, and keep all tools stored properly. Invest in a nice, sturdy toolbox, or a tool rack in your workshop. Now, get out there and make Clint Eastwood proud!